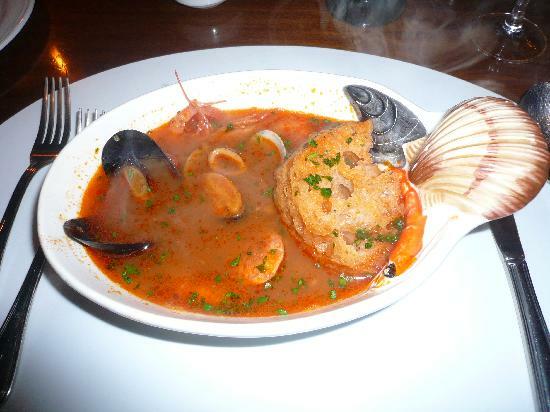 Traditionally, this chowder-like fish stew is full with tomatoes and chunks of wild-trapped river fish like trout, perch, pike, tench, and eel. While wild-trapped fish is superlative, fillets of farmed river fish, including arctic char, catfish, trout, and tilapia, are also fine. Ingredients for the chowder: Two pounds mixed freshwater fish fillets cut into 2-inch bits, half cup chopped up onion, 1/2 cup chopped up celery, 4 garlic cloves finely chopped, 1/2 cup extra-virgin olive oil, a quarter cup cut parsley, one cup of Italian white wine, dry, 1 tin can of peeled tomatoes, two cups of water. Ingredients Used For the Toasts: 1 baguette, one clove of garlic, two tablespoons olive oil. Tap the fish dry then spray with 1/2 teaspoon of salt. Cook the onion, celery, and garlic in oil including half teaspoon salt in a tall weighty pan above medium heat, seldom stirring, until onion is softened although not browned. Add parsley then cook during one minute. Add the white wine and boil until the liquid is reduced to half. Add tomatoes, water, and 1 teaspoon of salt after that bring to a simmer. Put in the fish then lower the heat to steam at a basic simmer for about 10 minutes. Make the toasts cutting the bread into intermediate-thin pieces afterward broil them on charcoals or else inside the oven until bronzed. Turn round to brown both faces. Wipe them with garlic, then set them at the bed of each portion bowl prior to pouring the soup inside.